Its Wednesday night, its raining, and many a rider in the Ottawa Valley is thinking of Saturday, race day. Indeed for some, Sunday's Ontario Cup road race at the Calabogie Speedway will also be on the mind. Some will race both events, but most will likely chose one or the other. 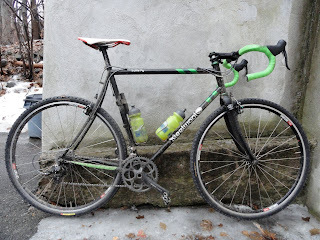 For us green bastards, the weekend is all about Saturday, Roubaix. A Saturday in Hell? Maybe. Probably not, the race is too short too make riders feel like they are dying...I hope. That sensation should be reserved for Paul's Dirty Enduro and cyclocross. 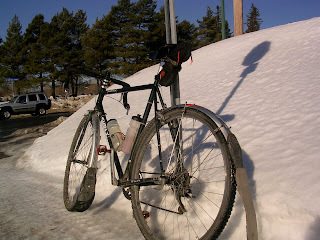 Five years ago, a number of our motley crew rode the Ottawa Bicycle Club's Roubaix for the first time. In an effort to keep the mood light, and level any disparities in fitness, we all rolled on our fixed gear bikes with fat tires. We chatted, looked around, shared chocolate with some ladies chasing from the back, stopped at the store for snacks. Each year we got a bit more serious about the event. 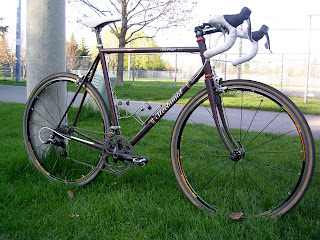 In 2009, I raced a spring classics inspired event every weekend in April, from New York state to Toronto. With all the time we'd been spending exploring dirt and gravel backroads, the classics format was becoming our thing, the sort of races we spent all winter preparing for and looking forward to. Kids pick up a lot. My daughter, who is 6, took this photo of Road magazine that was sitting around the house and set it up as the background on our iphone last month. She knew I'd love it. Sure did. In 2010, a bizarre race landed me on the podium. Every edition of the Roubaix, like its mother race in France, brings surprise and intrigue. Saturday will be no different. The rain that falls tonight will meet the frost rising from the ground and conspire to create a slurry of dark matter, laying in waiting for our tires, and perhaps, bodies. If the forecast holds, we will ride through steady rain from start to finish, unlike any Roubaix I've done thusfar. Welcome it, embrace it, use it. The rain defeats many before they take their first pedal stroke. This Saturday morning will be all about the Belgian toothpaste; circles, brush in circles. The route will differ from last year's edition, and the map can be found at www.cyclocross.org, along with important registration information (register before Thursday night to save $10). The route is beautiful, so even if you don't feel like you've got much race in you, pack your rain cape and come on out for a great ride. Just be sure to run tires 28c or larger, or pack lots of tubes. 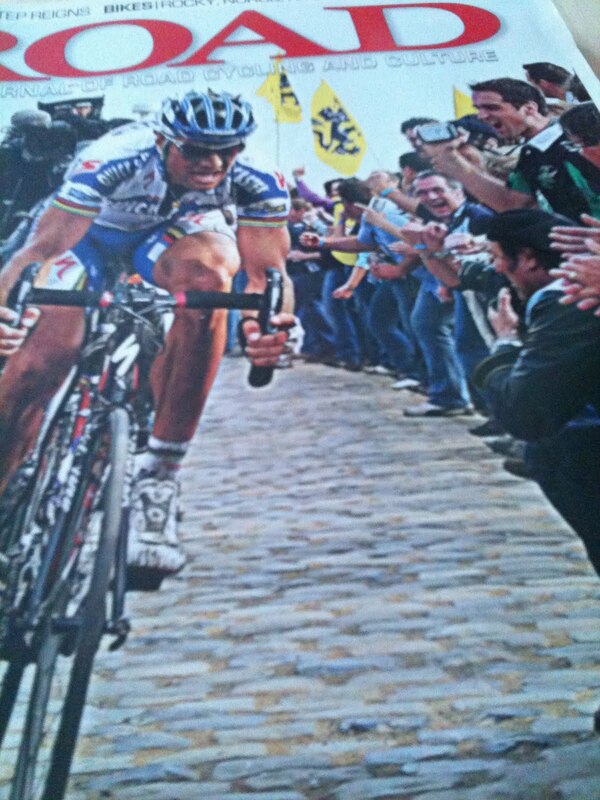 There's no broom wagon for this Roubaix. 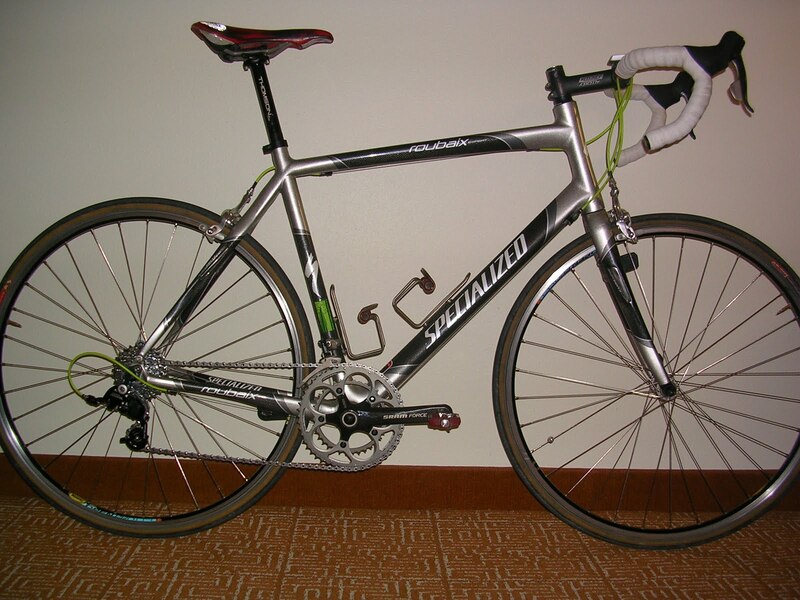 2007, fixed gear on the good 'ol Cross Check. 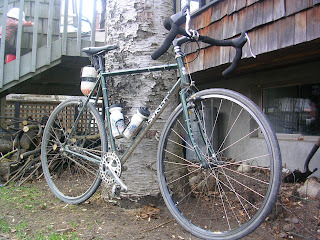 Heavy wheels, heavy tires...Grand Bois were still a twinkle in Rodd's eye. 2008, we decided to run gears and try to hang. The elastic snapped after the second woods. It was really wet, so everyone in the bunch appreciated the frienders. 2009, serious this time. 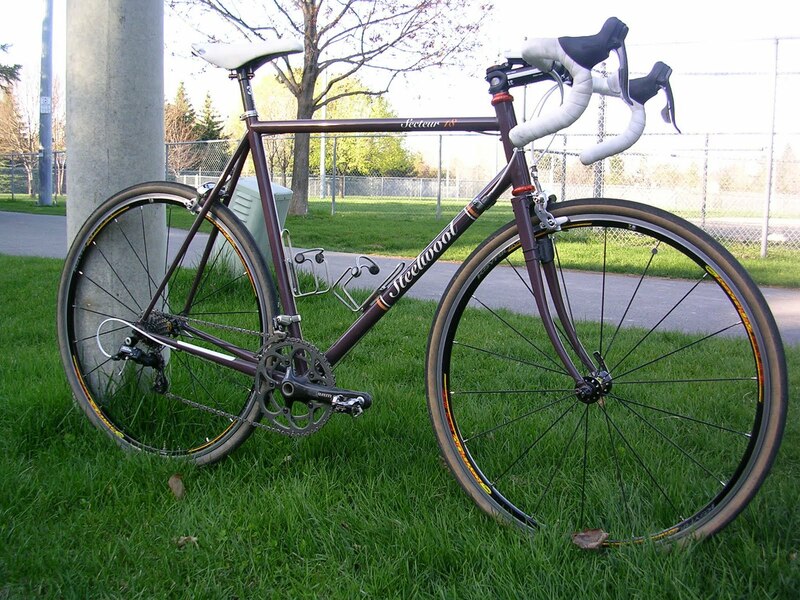 I rode this bike in three classics in April, and it was great, save for the lack of clearance for anything bigger than 28c. 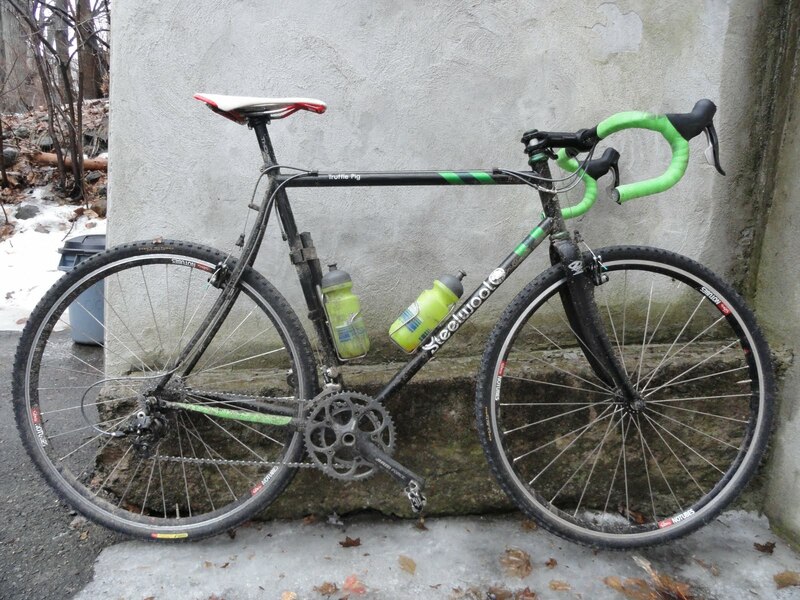 I used Challenge Parigi Roubaix's here, no flats...except Battenkill. 2010, problem solved. Custom Steelwool with room for fattie fat tires, up to 32 and 35c knobbies front and rear. I ran Grand Bois in 30c here, and suffered a flat caused by a cut. Despite/because of that, I finished 3rd. I still love these puppies, they are fast. 2011, Steelwool Truffle Pig team edition prototype. Same kit as above, but with Stan's Alpha/Chris King R45/Sapim CX-Ray wheels with Stan's Raven cross tires in 35, tubeless rear, latex tube front (blemish on casing precludes tubeless). This bike is best suited to the Roubaix of any I've ridden. I'll post some pics with more detail later on; it has a matching saddle now!